Knock on Wood: Lumber’s Downtrend Set to End? If ever there was a time for fundamental analysis of financial markets to win us over and show once and for all that markets really do move up or down according to outside events — it was in March 2013. And the market exemplar was lumber. Let’s do a U-ey and go back to late February, early March when it all began. Lumber futures were orbiting their loftiest level in eight years after soaring 45%-plus in 2012 alone. And, by all mainstream accounts, the lumber market had more rebar — in the form of exogenous events — supporting its upside than the Great Wall of China. RICHMOND, B.C. – Catalyst Paper announced Wednesday that company chairman Leslie Lederer will take over as CEO on an interim basis following the departure of current CEO Kevin Clarke at the end of the month. Clarke announced his departure from the pulp and paper company in April, saying he was returning home to New York state where his family resides. The B.C.-based pulp and paper producer said then that the time was right for a leadership transition following the completion of the company’s court-supervised restructuring. BCR Properties Ltd. is denying allegations made in a lawsuit Brink Forest Products owner John Brink has brought against the Crown corporation over a land deal gone wrong. Brink is alleging BCR acted fraudulently by trying to hide the true state of the land on which he had intended to build a new sawmill complex, a 100-acre site in the BCR industrial area where the old Netherlands sawmill once sat. Aditya Birla Corporation and Pays Plat First Nation have announced a partnership that will create jobs for the small northwestern Ontario community. Members of the First Nation will harvest, process and deliver timber from the Kenogami Forest to the recently restarted Terrace Bay pulp mill. Chief Xavier Thompson said it’s a significant economic development opportunity. “Things can actually get done here,” he said. China Shengda Packaging Group Inc announces that its wholly operating subsidiary, Jiangsu Shuangsheng Paper Technology Development Co., Ltd, has completed the construction of a paper mill and officially gone into production. The paper mill is located in Sheyang County, Jiangsu Province, China, with annual raw paper production capacity of 150,000 metric tons. One of Western Australia’s largest millers of native hardwood says it has not been able to reach an agreement with the State Government on a viable volume of log resource and as a result its future is now uncertain. 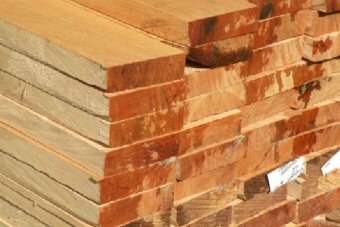 Whittakers Timber Products is ceasing log deliveries and is preparing to close the green mill and part of the dry mill, making 44 people redundant. The mill sources jarrah, karri and marri from WA’s sustainably managed forests under contract by the State Government. When Vancouver’s new convention centre opened in 2009, I remember standing watching then B.C. premier Gordon Campbell invite the crowd, including members of his cabinet, to chant along with him: “Wood is good, wood is good, wood is good.” He was referring to the amount of B.C. wood used in the building and how good it was and how good the workmanship was… At VanDusen Botanical Garden in Vancouver this week, the Touch Wood exhibition opens: it is also a rather surreal happening, with wood sculptures dotted around the garden, but unlike the Gordon Campbell exhibition, this is art . . . and also the wood is good. Sweden is hitting new heights in the wooden skyscraper trend with a 34-storey wood building proposed for Stockholm. The design was created for HSB Stockholm’s architectural competition 2023, an initiative that marks the organisation’s 100 years as Sweden’s largest building society, and to celebrate an “ultra-modern residential high-rise building” will be built in the city. …Solid wood will be the predominant material in the building’s pillars and beams, while inside, walls, ceilings, fittings and window frames will be also constructed of wood. We recently signed a Memorandum of Understanding with the Canadian Council for Aboriginal Business (CCAB) to grow that relationship, encourage SFI Program Participants to seek certification under their Progressive Aboriginal Relations (PAR) program and support a dual-logo process. This dual logo indicates that a company sources sustainably managed forest products, but also signals that they are good business partners, great places to work and are committed to prosperity in Aboriginal communities. KAMLOOPS – Due to an increase in wildfire activity, B.C. is sending 23 firefighting personnel to the Yukon announced Forests, Lands and Natural Resource Operations Minister Steve Thomson today. One agency representative, three initial attack crews from the Cariboo Fire Centre, four initial attack crews from the Prince George Fire Centre, one regional wildfire coordination officer from the Kamloops Fire Centre and one regional wildfire coordination officer from the Prince George Fire Centre will be deployed tomorrow. VICTORIA – B.C. Ombudsperson Kim Carter announced today that she has launched a systemic investigation into the Ministry of Forests, Lands and Natural Resource Operations administration of the Riparian Areas Regulation in British Columbia. . …“Seventeen and a half per cent of B.C.’s land – its most populated areas – is covered by this Regulation. We have received a number of complaints from people affected by the process”, says Carter. In 2012, the value of provincial softwood lumber exports grew for the third consecutive year, increasing by 9.7 per cent. …However, our region’s forest industry is not without its challenges—there remains a scarcity of loggers, haulers, operators, and other skilled resource industry workers. Job declines in the warehousing and transportation industries also impact resource exports, while competition for a limited supply of truck drivers in Northern BC has impacted the logging industry. 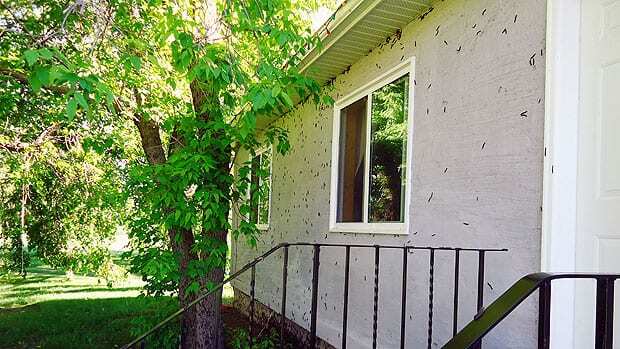 Residents around Lake Manitoba are watching entire trees vanish before their eyes and massive caterpillar populations take over their homes. Cary Anderson, who lives near Alonsa, Man., says the black, fuzzy, forest tent caterpillars have taken over her community. “When you look in the trees, you can just see them moving,” said Anderson. “They’re very thick on the trees and on the roads. New Brunswick forestry officials are warning the spruce budworm is on the brink of another outbreak, which could cause widespread devastation. The insect, which caused massive defoliation in the province in the 1970s and ’80s, has been on a downward trend since then…. “The numbers are increasing … especially in the northern part of the province,” in Madawaska county, said Jeremy Gullison, a pest management specialist with the department. …The Ontario Superior Court verdict in May, which went unnoticed by most anyone not involved in Hartley v. Scharper, not only saved the maple but created some of the most stringent and detailed law on tree preservation in Canada. Cutting down a shared tree or chopping at wayward branches without a neighbour’s approval could now be a criminal act, punishable under the provincial Forestry Act. Many of the province’s tree-protection bylaws may need to be rewritten. As the West battles one catastrophic wildfire after another, the federal government is spending less and less on its main program for preventing blazes in the first place. A combination of government austerity and the ballooning cost of battling the ruinous fires has taken a bite out of federal efforts to remove the dead trees and flammable underbrush that clog Western forests. The U.S. Forest Service says that next year it expects to treat nearly 1 million fewer acres than it did last year. Spraying plans to combat the Mountain Pine Beetle in some Bitterroot National Forest recreation sites have been delayed, due to rainy conditions. A slow moving cold front has spread rain throughout the Bitterroot Valley Wednesday and weather is expected to be “unsettled” through the weekend. The forest crews were going to spray carbaryl at Lake Como and at campgrounds in the Sula and West Fork Ranger Districts. An Arizona wildfire whipped up by strong winds threatened hundreds of homes on Wednesday, even as firefighters were gaining an edge on a California blaze raging near a pristine wilderness, authorities said. More than 500 firefighters were battling the Doce Fire, which has burned through 2,830 hectares of chaparral, pine and juniper since Tuesday morning near Prescott, about 160 kilometres north of Phoenix, the Prescott National Forest said in a statement. In an attempt of unity, Boundary County, Idaho, Commissioner Dan Dinning urged leaders from both Lincoln and nearby Sanders counties to participate in a forum to discuss state agencies logging on federal lands. Dinning and Forest Consultant Jim Riley made a presentation to Lincoln County commissioners last week to take part in a pilot project that would allow counties a funding source — timbering — to replace revenue lost through sequestration in the Secure Rural Schools fund. Chuck Leavell is feeling great. Tuesday’s Rolling Stones concert was so fine. Friday’s is coming up. And Leavell, the band’s keyboard player for 31 years, is loving it all. But for now, a brief breather on a sunny afternoon, he’s talking trees. That’s his other life, his twin passion. He has a 2,500-acre Georgia forest plantation near Macon, and he has become a staunch advocate for the idea that using the nation’s trees is what will save them. It will help people recognize their value. A fund managed by Luxembourg-based Althelia Climate Fund GP Sarl raised more than 60 million euros ($80 million) from investors to prevent forest loss. The Althelia Climate Fund will invest in initiatives in Africa, Latin America and Asia that conserve forest and prevent unsustainable land use, according to a statement on the fund’s website. Althelia plans to raise as much as 200 million euros in the next year, the statement showed. Air pollution is related to forest decline and also appears to attack the protecting wax on tree leaves and needles. Bonn University scientists have now discovered a responsible mechanism: particulate matter salt compounds that become deliquescent because of humidity and form a wick-like structure that removes water from leaves and promotes dehydration. These results are published in “Environmental Pollution.” Nature conservationists call it “lingering illness,” and the latest report on the North-Rhine Westphalian forest conditions confirms ongoing damage. Treezilla has been unleashed! Well, perhaps ‘launched’ is a more appropriate description. Either way, this new Open University-led citizen science project has the ambitious goal of mapping every tree in Britain. ‘Treezilla: the monster map of trees’ is a database with the potential to represent both the legacy and future of Britain’s trees. As the Amazon rainforest continues to shrink as a result of deforestation, NASA scientists have found a ’silent killer’ lurking in the forests, which could be having even more of an impact than deforestation. Understory fires have been identified by NASA as having more of an effect on the amount of forest cover being destroyed than logging practices. According to the research, between 1999 and 2010, understory fires destroyed 2.8 per cent of the Amazon rainforest – a figure representative of 33,000 square miles of forest. Forestry industry groups want contractors accused of defrauding a Federal Government scheme to be named so they can defend themselves. 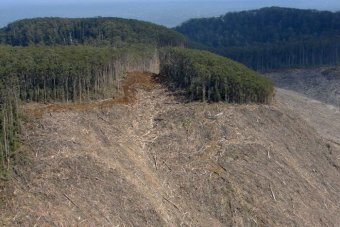 A Senate committee wants a full investigation into claims some Tasmanian forestry contractors have accepted industry exit payouts but stayed in the logging industry. The committee’s inquiry has recommended further investigations into rorting allegations. Lemons are growing in North Saanich, and they are just a taste of some of the new crops that are popping up in B.C. as the temperature gets warmer. As average temperatures go up, farmers and gardeners are trying species that are usually found in subtropical or Mediterranean countries… Global warming is often debated in the big picture, but the details of gradual changes around us bring the debate down to earth. The devastating march of the pine beetle is one effect of warmer temperatures that is clearly visible across vast areas of B.C.’s forests. Last week I was able to witness firsthand one of the frightening impacts of climate change on the United States as a wildfire spread across part of the Rocky Mountain National Park… So what is the link to climate change? The wildfire is being fuelled by a great abundance of dead trees that have fallen victim to the voracious appetite of the mountain pine beetle, Dendroctonus ponderosae. The beetle lays its eggs in the bark of pine trees, and the larvae burrow inside, satisfying their appetites by eating the inner parts of the tree. The Biofuels Center of North Carolina recently completed a statewide woody biomass assessment in cooperation with Gelbert, Fullbright & Randolph Forestry Consultants and North Carolina’s seven economic development regions. According to the BCNC, work on the three-part analysis kicked off in 2011. The resulting report, titled the “Statewide Woody Biomass Project,” outlines three areas of analysis for each of the seven economic development regions. Washington, D.C.—Home builders and lumber dealers are reporting significant shortages of key home building materials such as lumber and wall board, according to recent surveys by the National Association of Home Builders and the National Lumber and Building Material Dealers Association. Among builders, the highest incidence of shortages was for oriented strand board, with 22 percent of builders reporting shortages, followed by wall board (20 percent), framing lumber (18 percent) and plywood (18 percent). 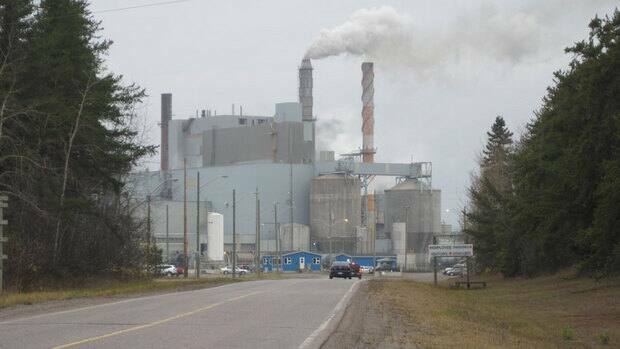 Terrace Bay’s resurrected pulp mill remains on track to switch to a new product expected to keep the plant running well into the future, says the operation’s new owner. Preliminary planning for the switch to produce dissolving pulp — an ingredient in rayon, a clothing product — is to begin in the next few weeks, AV Terrace Bay Inc. CEO Giovanni Iadeluca said Wednesday following the announcement of a new fibre-supply agreement with nearby Pays Plat First Nation. The three-year agreement sets the terms for a Pays Plat company to supply the mill with wood logged from southern portions of the large Kenogami Crown forest, the pulp plant’s traditional basket of softwood.